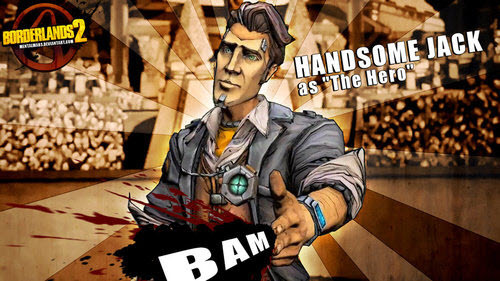 Extremely popular in 2009 Borderlands game was the original cocktail of unpretentious plot, picturesque characters, strange combination of shooter and RPG and comic book design. This funny mix became very popular among many gamers all over the world, so lot of them stopped breathing waiting for the release date of its sequel. And finally on the 18-th of September, 2012 Borderlands 2 - even more bright, funny and extraordinary game - saw the light. We are sure that this one are going to be the bestseller. However, we need to mention that Borderlands 2 is not unique and it doesn't differ from the first game cardinally. Though it became much more immense and qualitative. It seems that Gearbox Software - the developer of original and second version of the game - just wanted to debug all mistakes and create perfect shooter game with special atmosphere, and also with "blackjack and hookers" as funny quests and very sweet non-playable characters. What did they get? Let's look closer. 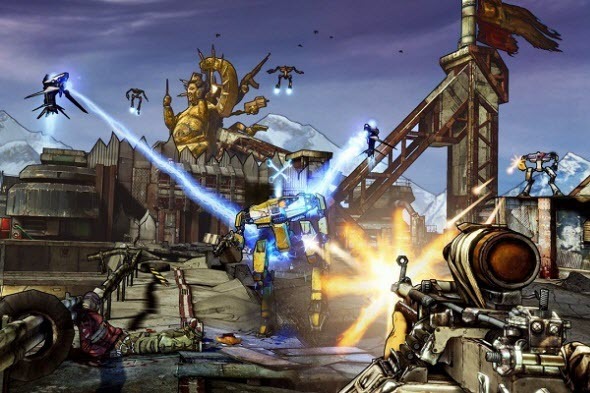 Borderlands 2 has full-fledged and perfectly designed scenario, that attracts the gamers' attention and doesn't make you bored until the end of the game. Our characters will fight against Handsome Jack - something like sarcastic malefactor that is planning to destroy the half of the Pandora's population, and also they will maraud as much as they want. Along with the main task а the game, the developers added plenty of side quests, that stand out because of brilliant plot and variety. Each new task doesn't look like the previous one, and each quest is flavoured by perky humor. We will have to meet with very different and colourful characters, attend the great robberies and plots, and of course do plenty of shooting using various weapons. All these powerful weapons will fall into hands of four main heroes. 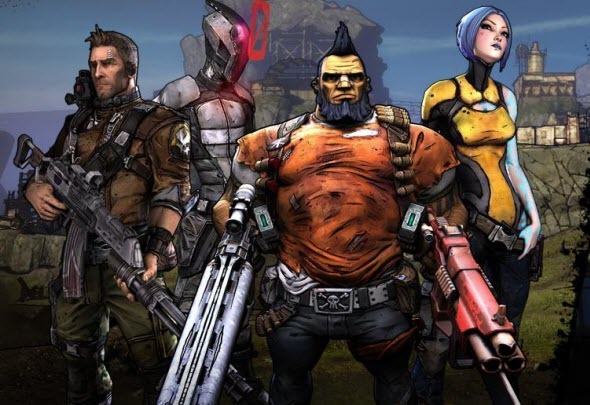 Axton is a commando, that is the reincarnation of Roland from the original game, Maya is a beautiful siren, that has unique magic abilities, Salvador is a muscleman with the Mohawk that is able to shoot with two hands, and finally Zer0 is an assassin that can be invisible. 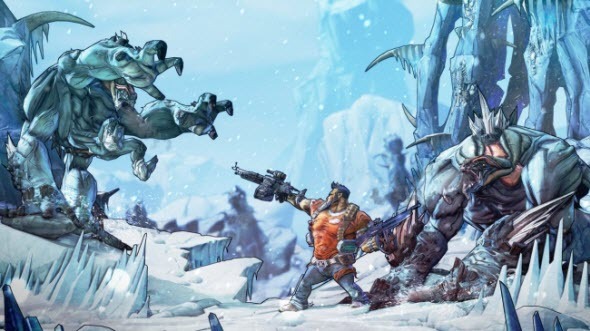 The developers advise to play Borderlands 2 together with four real friends-gamers or random allies that can be picked up via Steam (by the way, this function was significantly improved in new version of the game). With big team it will be easier to fight against great number of colourful enemies and powerful bosses, that are going to bother you at every turn. However, if you want to enjoy the delicate atmosphere of Borderlands 2 game, you need to try fighting solo. Borderlands 2 is a game with very special and deep humour, that will follow you almost every minute. They are delicate and sometimes cynical jokes that bring the unique beauty to this shooter. Every dialogue, scene or quest in the game is worth your attention, and to read all original jokes, it is better to pass this game slowly and by yourself. But, of course, the decision is yours, especially as because the developers took care not only about the single mode, but also about the multiplayer one. 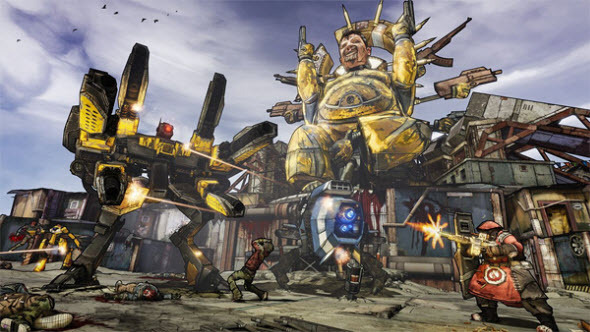 Unfortunately, you can't download Borderlands 2 for free, but, if you have already buy the game, the newest add-on will cost you nothing. We are sure that the game is really worth its price, so the fans of the first version must enjoy it very much, and those, who are meeting the endless deserts of Pandora for the first time, won't regret the spent money.